Experience the wonder of living on BC’s northwest coast. This majestic “City of Rainbows” abounds with natural beauty. A historic City with a population of 13,000 and yearly influx of 250,000 visitors, Prince Rupert is a working sea port with a bustling waterfront and charming heritage buildings. Affordable housing, ocean views and all the amenities for quality living are at hand. The fastest growing shipping port on the continent, this City is anticipating rapid economic expansion over the next decade. The City of Prince Rupert is seeking a positive, energetic and self-motivated individual for the position of Corporate Administrator. Reporting to the Chief Administration Officer, the successful candidate will be an excellent and effective communicator with attention to detail and a due regard for protocol, process, procedure and politics. This statutory member of the senior management team will be a dedicated professional helping to rebuild and redesign the City’s future. Responsible for the supervision of employees. Writing, compiling and reviewing reports, agendas and minutes. Processing and interpreting bylaws, legal documents, procedures, policies and provincial legislation. Providing information and assistance to a variety of internal and external contacts. Overseeing records management and the Freedom of Information and Protection of Privacy Act information request process. Filling in as City Manager at Council meetings on a relief basis. Attend evening meetings on a regular basis. Responding to enquiries by providing information, advice, direction, and interpretation of regulations, guidelines, development review policies, procedures and regulations. Adhere to all statutory duties. Participate in the City’s Emergency Operations Centre (EOC) when activated. The ideal candidate will possess an undergraduate degree in business, public administration, or hold a law degree in good standing; a certificate in Local Government Administration issued by the Board of Examiners; or a diploma in public sector management. 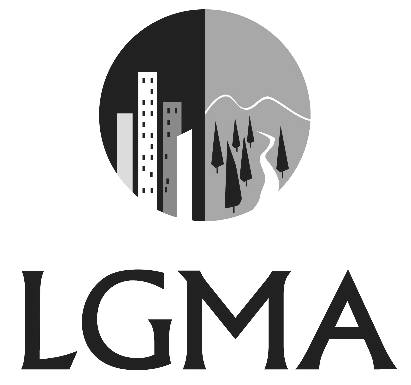 Five years of related experience in a local or regional government setting, or an equivalent combination of relevant training and experience. Considerable managerial and leadership experience. Knowledge of the applicable legislation (i.e. Freedom of Information & Protection of Privacy Act, Community Charter and Local Government Act). Familiarized with the functions of City Council. An aptitude in customer service, improving the client experience and managing complaints in a respectful and professional manner. A strong knowledge of contract writing and negotiation. Proficiency in a computerized environment using Microsoft Office and a valid Class 5 Drivers Licence is required for this position. The successful applicant will be able to identify and explore possible solutions to problems in an innovative and creative way. 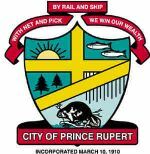 The City of Prince Rupert offers a competitive salary and benefits package and requires the successful candidate to obtain a Criminal Records Check. We thank all applicants for their interest in this position, however, only those applicants selected for an interview will be contacted.